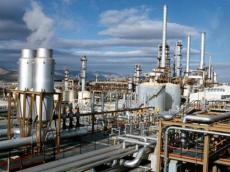 Kazakhstan’s Pavlodar Petrochemical Plant (PPCP) has suspended its work for 15 days. The PPCP Department of Public Relations announced that this is a planned shutdown for maintenance. “The shutdown is carried out according to the schedule of planned preventive work of PPCP LLP, approved by the Ministry of Energy of the Republic of Kazakhstan,” the Department of Public Relations announced.